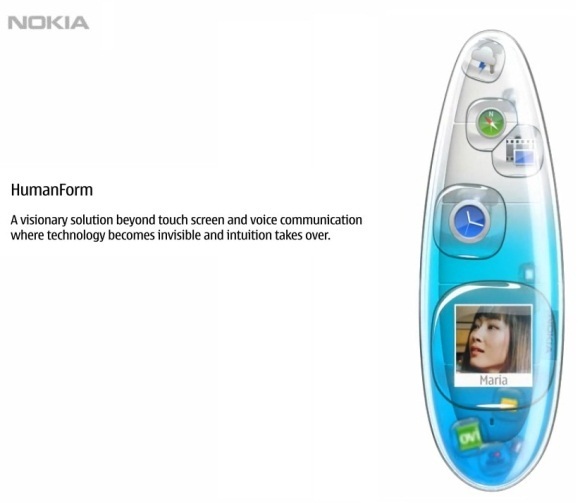 Nokia has just put up a video on their Conversations website which shows the future of mobile phone technology. Nokia Research Center has amalgamated various concepts and has created the HumanForm which is a bendable handset that runs on human gestures and behaves and reacts to your intuitions. 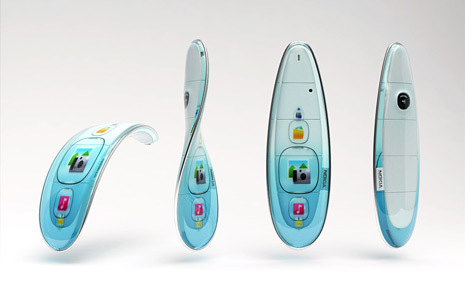 The device is said to have a bendable structure and offers a nanotechnology enabled experience and a bendable transparent display. The concept is truly amazing showcasing how various human interactions can be used to control a device. Gestures like shaking the device, bending it, turning it all have been cleverly used to make this concept truly mind-bending. There is no working prototype as of yet, but check out the video below showcasing a new era in mobile phone technology.